Wine of Western Cape, South Africa. Integrity & sustainability certified. 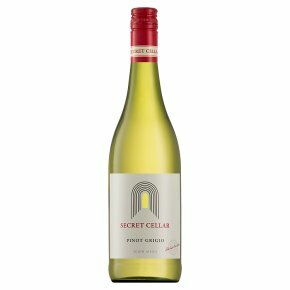 This wonderfully crisp Pinot Grigio from Secret Cellar shows delicate floral and fresh apricot notes on the nose, followed by a delicious combination of white peach and fresh, crisp tropical fruits. Excellent served on its own or as a perfect pair to chicken dishes, seafood and fruit desserts.